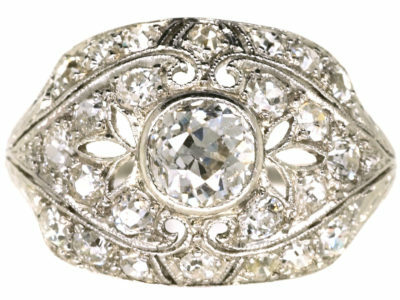 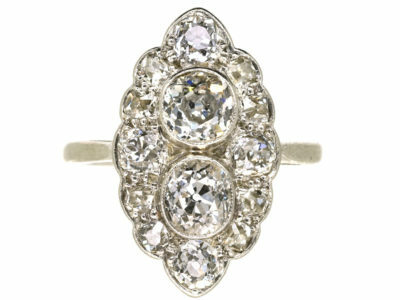 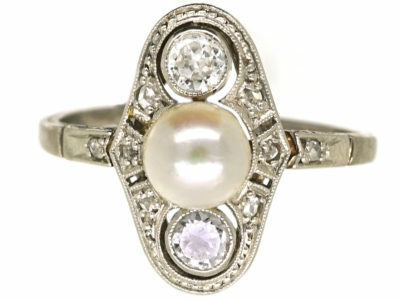 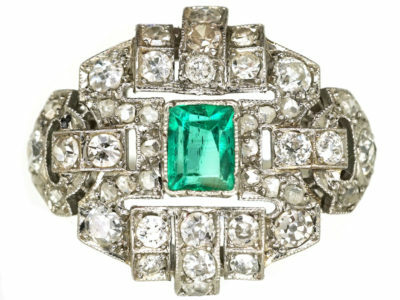 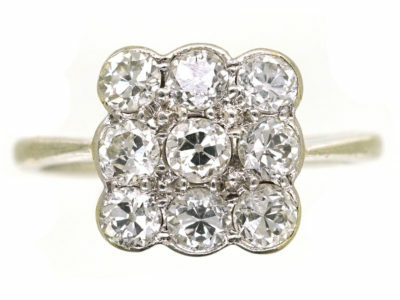 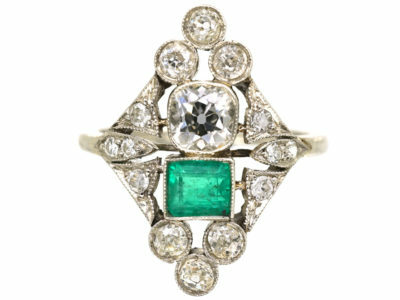 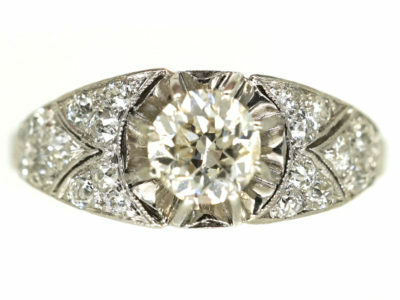 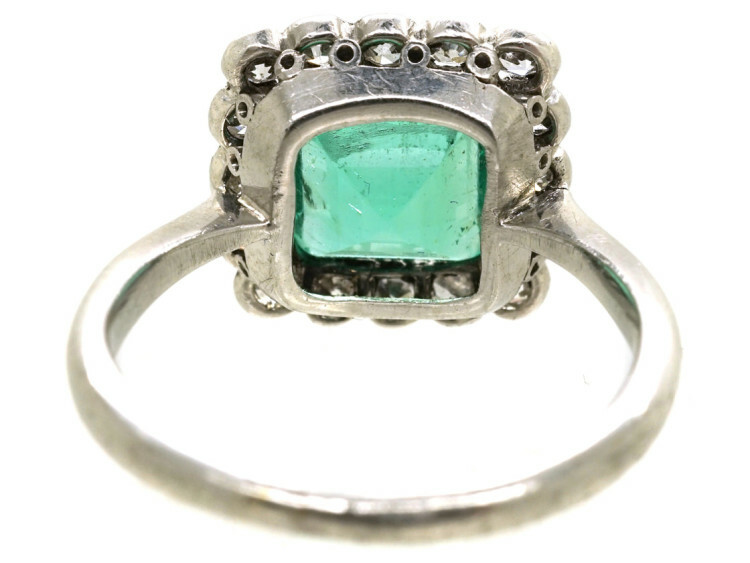 A smart Art Deco ring. 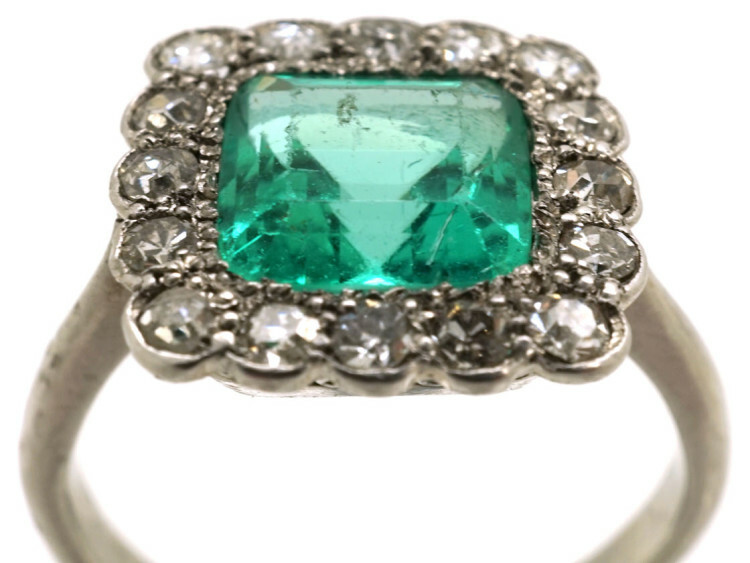 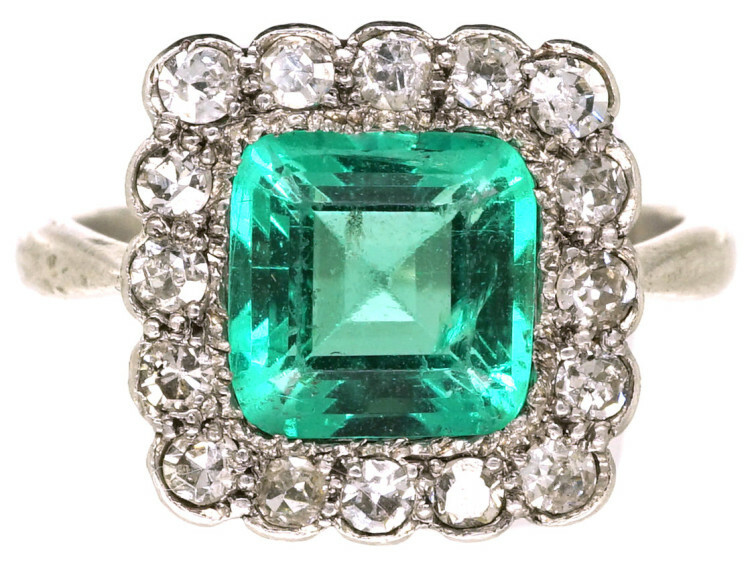 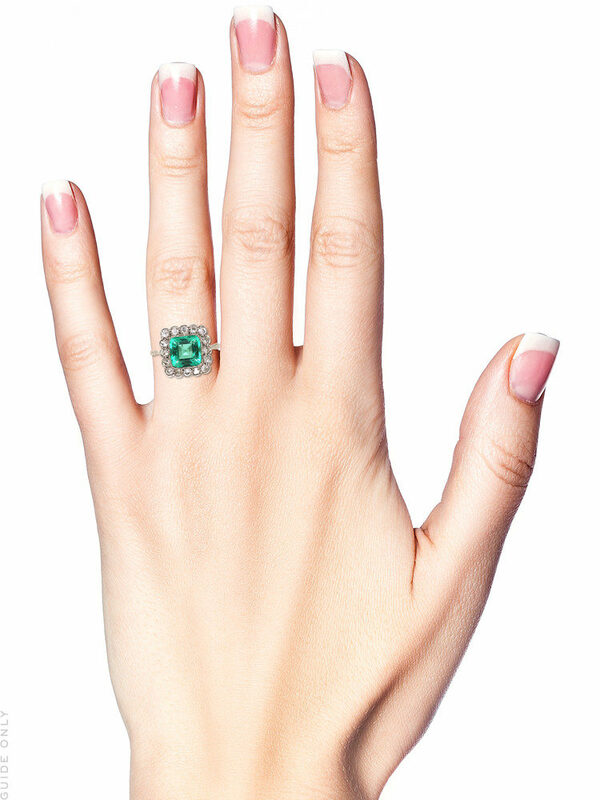 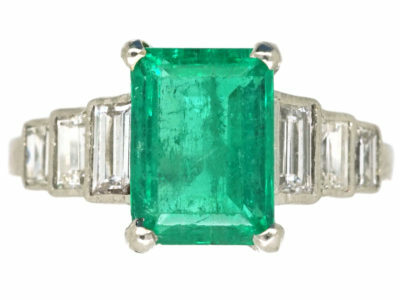 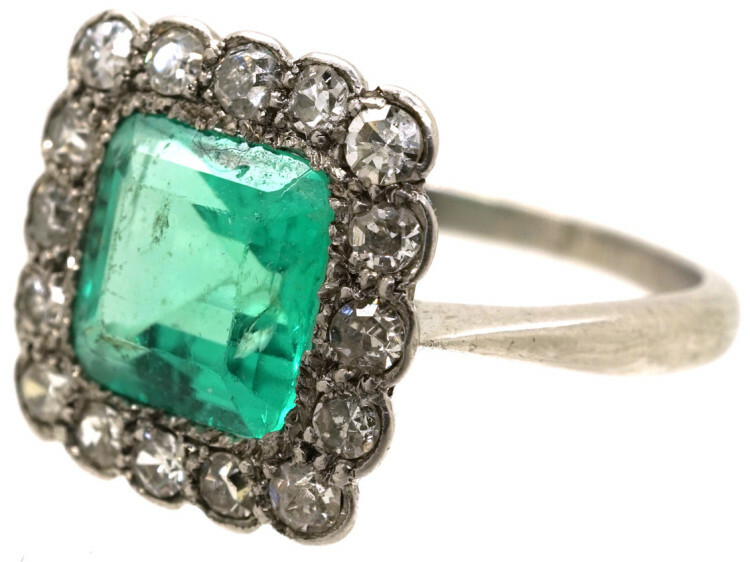 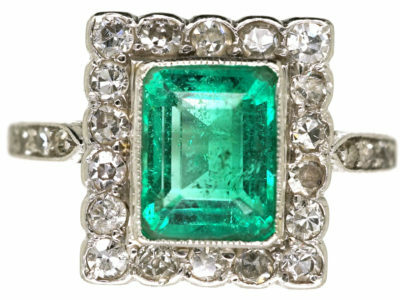 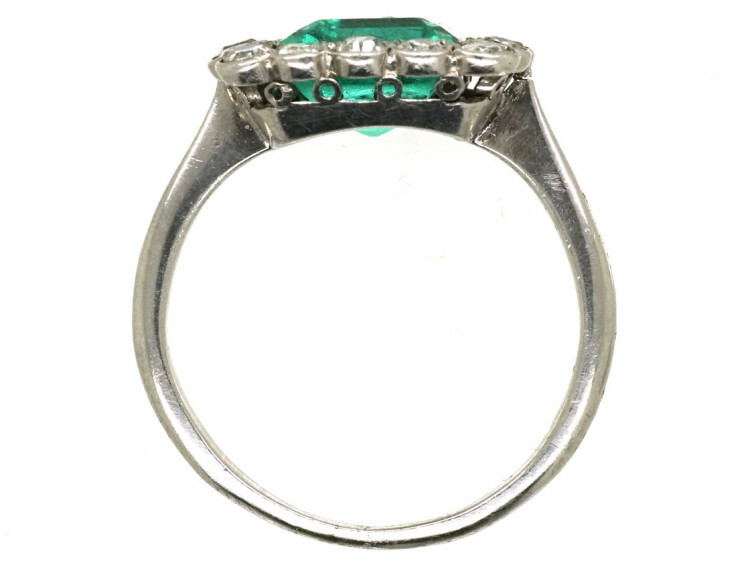 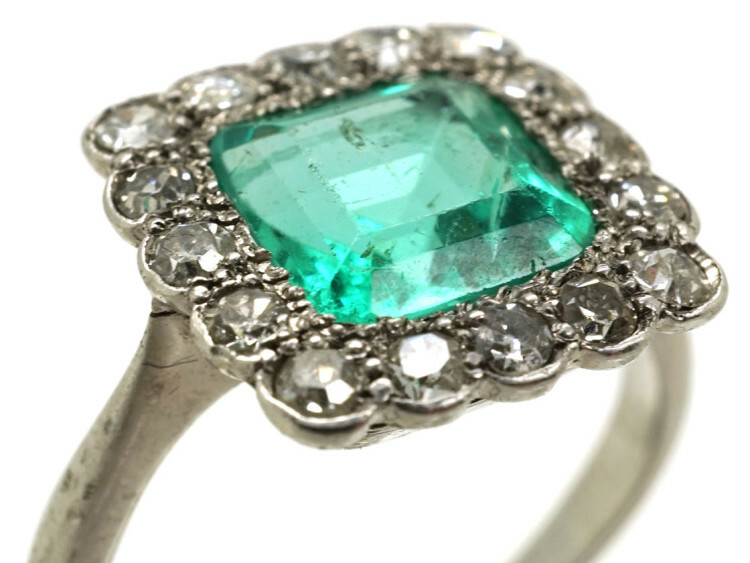 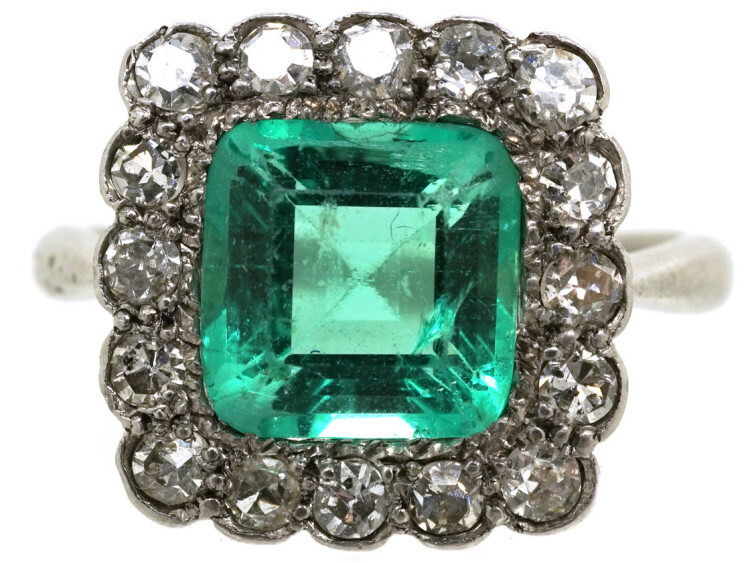 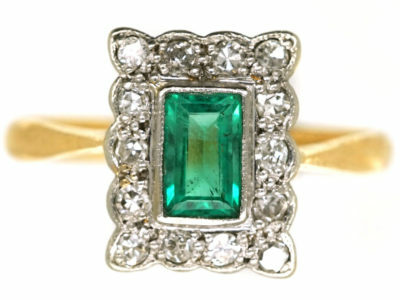 It is platinum and set with a largish square emerald which is surrounded by good white well matched diamonds. 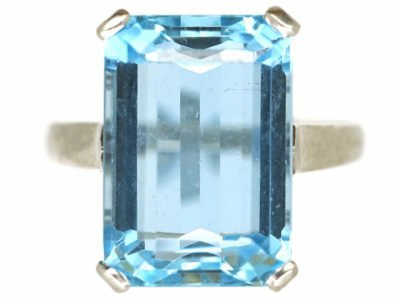 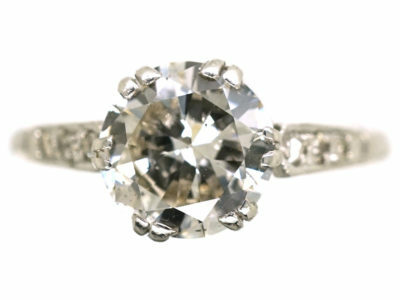 It would make a marvellous engagement or dress ring.